Aigerim Beketaeva (Әйгерім Бекетаева, Айгерим Бекетаева) and Tair Gatauov (Таир Гатауов) in Le Corsaire pdd, music by Ludwig Minkus, choreography by Marius Petipa. Shot on 22.5.2016, Astana Opera Ballet Gala. Aigerim Beketaeva (Әйгерім Бекетаева, Айгерим Бекетаева) is leading soloist with Astana Opera Ballet. She was born in Taldykorgan. In 2010 she graduated from A.V. Seleznev College of Choreography. From 2010 to 2013 she worked as a leading soloist of K. Baiseitova National Theatre of Opera and Ballet. Her teacher-repetiteur is Galiya Buribayeva. Since 2013 Aigerim is a leading soloist of Astana Opera. Tair Gatauov (Таир Гатауов) is leading soloist wit Astana Opera Ballet. He was born in Uralsk. In 2003 Tair graduated from A.V. Seleznev College of Choreography and Utemissov West Kazakhstan State University as a teacher – choreographer (2007). From 2003 to 2013 he worked as a leading soloist of K. Baiseitova National Theatre of Opera and Ballet. In 2007 he completed training at Teatro alla La Scala (Milan). Since 2013 he is a leading soloist of Astana Opera. 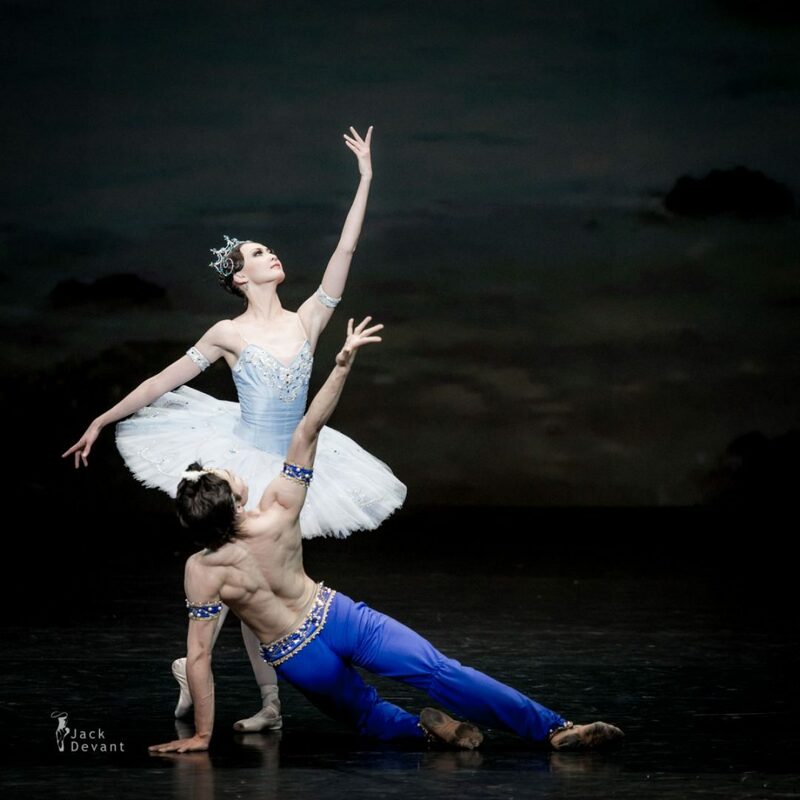 Photos by Jack Devant Ballet Photography with kind permission of the Astana Opera, special thanks to Assel Nakupova and Yekaterina Romanova.